If you’re sleeping on a nontraditional sized bed that isn’t comfortable, you could benefit from a custom mattress topper. Whether you need better support, more cushion, or both, a custom mattress pad can improve your sleep so you can wake up refreshed and enjoy whatever the day brings. 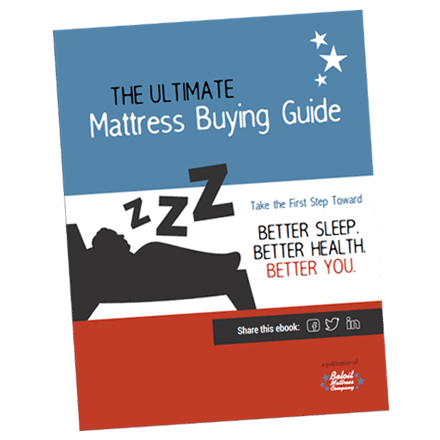 Learn why Beloit’s Mattress Topper is the best choice, and order yours today! You should be comfortable wherever you sleep, whether you’re at home or spending the weekend in your recreational vehicle. If you can’t get the rest you need in your sleep space, we’ll handcraft a custom size mattress topper to fix that. That’s right — even if you need an RV mattress topper, a camper mattress pad, even a mattress topper for a bed in your boat, we’ll help transform your sleep space into cozy bliss! While an egg crate foam mattress pad may be able to make a bed softer, it won’t provide the support or moisture barrier you need for a good night’s sleep. Many traditional mattress pads break down quickly and trap body heat, causing you to wake up with a sore back and sweating. But whether you’ve been working, hiking, fishing, or hunting all day, you need a supportive bed that cradles your tired muscles and joints, and that will allow you to sleep cool and stay dry. Beloit’s custom mattress pad provides dense cushioning and maximum breathability because we build it using only the best, most natural materials. Bamboo knit fabric is soft, naturally antibacterial and moisture absorbent. Pure New Zealand Joma wool wicks away moisture and is naturally hypo-allergenic, mold, and odor-resistant. Gel-infused soybean-based cooling foam provides medium-firm support and dense cushioning, as well as a cool surface. All materials are non-toxic, allowing you to enjoy a good night’s sleep while doing what’s best for your health AND the environment. Order Your Custom Mattress Topper Today and Transform Your Sleep Space! Don’t keep waking up tired and crabby when you should be enjoying your weekend! Beloit makes ultra comfortable mattress toppers for RV beds, campers, boats, and any other space you can think of. Every custom mattress pad purchase comes with free shipping, a 30-day money back guarantee and full 5-year replacement warranty, so you really have nothing to lose by giving it a try! Contact Beloit today or come into a store to discuss your custom needs with our sales team!